We are pleased to announce that Alison Turner has joined the Quantum-Life family as the head of our new Practitioner's Support Service. Alison brings with her a background of technical expertise in the fields of computers, training, management and internet software development. Her most recent consulting project resulted in taking a new internet-based company from ground zero to a multi-million dollar company in just two years. She built the company's infrastructure, including the training and support departments and worked directly with the software programmers to develop and perfect an extensive web-based software application. A L.I.F.E. practitioner herself, Alison shifted gears in January 2004 when a colleague offered a year-long apprenticeship in Natural Health. Combining her knowledge of the human body and allopathic medicine with the fields of natural medicine and energy medicine, Alison is educating her clients about lifestyle changes and therapies that encourage balance, harmony and self-healing. The Support Services staff will be available to help new clients get their L.I.F.E. system installed and running and will provide New User orientation sessions via the web. We will also assist the user in accessing all the web-based training and support options available. Support Services will also be focusing on enhancing the Online L.I.F.E. Explorer training application at www.lifeexplorer.net so if you have any suggestions or contributions, please email them to alison@quantum-life.com. Support Services will have regular contributions to the Quantum-Life monthly newsletter so if you have tips or an article that you would like to share, please send those items to alison@quantum-life.com. So after the conference calls and recent barrage of emails we have had many requests for more information on both Dr. Denny Thompson and his Vedic Vibrational Bioresonance. One question we would like to answer is why we are promoting such a program (not to mention that it also counts for your CBT certification). Over the years of being involved with this type of bioenergetic technology there has always been a constant; how to correctly analyze the clients current state of health…in other words how do I know what is really going on with the client? We have all got used to accepting that the body is a dynamic organism and as such no true analysis is possible as the body is in a constant state of flux. Others make reference that you can not step into a same stream twice… All of these statements are valid but lets be honest….would it not be better to have more tools at our disposal? Tools to help us synthesize the information coming up on the L.I.F.E. System panels? Sometimes the harder you look the more confusing you become. You need to be able to draw from other areas of your expertise, to compliment your L.I.F.E. investment.! Probably the BEST Feature of The L.I.F.E. System is the design of the software and how easy it is to use. Our practitioners are now up and running within a couple of weeks as opposed to 6 months and still learning the software intricacies. So if the software is easy to use where lies the problem (if any)? The problem does not lie with intermediate or advanced L.I.F.E. System Training. The answer is to provide you as healers with more broader based applications and tools. The more you understand about CAM the better practitioners you will be. The ability to pull from different modalities to compliment The L.I.F.E. System is the secret of success. How can you use the Accu-puncture program if you have never heard of accu-puncture before? Often we find clients who have been on their own healing journey to yield the best results with The L.I.F.E. System as they are not tied to a specific belief system. So in summary we feel the Dr. Denny Thompson's Vedic Vibrational Bioresonance is a perfect compliment to The L.I.F.E. System practitioners needs and is following our educational plans seeded in Costa Rica. System Basic Training: Dr. Sherry Greenberg February 8th and 9th inclusive. February 10th, 11th and 12th inclusive. February 24th, 25th and 26th inclusive. Are you hosting a L.I.F.E. event? Would you like to market this event to our L.I.F.E. System practitioners? Would you like to post your event on our website? Well NOW YOU CAN! Check It Out: http://www.quantum-life.com/calendar and scroll down to the bottom of the page. Lifelines International: L.I.F.E. Flow Charts Bob Shane and Lifelines International are pleased to announce the beta release of the First Official L.I.F.E. Flow Charts and Protocols… If you would like a complementary copy please email Quantum Life on info@quantum-life.com and be sure to include your full address. In the subject line write FLOWCHARTS. Rick Cabados and Doctors Health Systems are pleased to announce the official release of the www.doctorshealthsystems.com and www.practitionerdirectory.com. We have spent thousands of dollars and hundreds of man hours developing this application for ALL L.I.F.E. SYSTEM PRACTITIONERS. Would you like a FREE Website and/or practitioner listing?Click here to learn more. While Rick has been working night and day to bring you The BEST L.I.F.E. System websites available, Quantum Life have been working from the opposite end and building a complete back office solution for you. Your back office solution will provide you with additional tools to better manage your clients and stay in touch. Database management, online client intake forms, template emails and auto responders are only some of the things you have to look forward to. So with the above said you will have an edit link below to update your personal information. Would you please ensure your details are correct and if you are feeling brave see if you can build your own biotechpractitioner Website. We as Quantum Life are very fortunate enough to have some great practitioners within Quantum Life and this month we must make reference to Bobby and Colleen Martin in Atlanta. As new L.I.F.E. System practitioners they are really beginning to market their practice. Now everyone has a special gift and Bobby and Colleen bring the world of radio advertising to you~ at a fraction of the cost! As individuals who work in the radio industry they have been developing some radio advertisements for their practice. Upon hearing some of them we just knew fellow L.I.F.E. System Practitioners would jump at the opportunity of having a professionally recorded 1 minute radio advertisement advertising their practice. Soon we will have various templates you can choose from and they will insert your practice details and Voila ~ Your Own Professional Radio Advertisement. We are busy finalizing our Webinar service and hope to be online within the month. Stay tuned for elearning like never before. Firstly congratulations to Tish Stiles our most recent graduate from the Quantum Life Online Training Program. With over 31 modules utilizing Flash Software this is a real step towards helping our clientele all over the world. 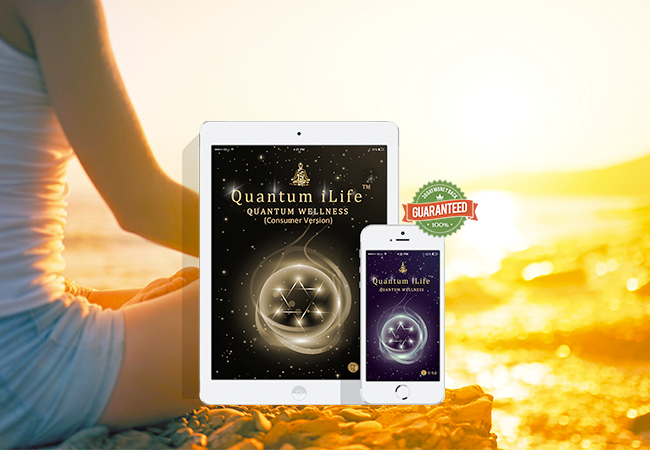 This online certification was developed by Quantum Life as we felt it would answer many initial questions our clients may have and is a perfect addition to your 2 days of complementary basic training. The cost of this online certification program does not necessarily reflect the views or opinions of the manufacturer Living Information Systems or the Official L.I.F.E Training College: The Center For International Holistic Studies in any way. 1. Complete L.I.F.E. System purchased with funds confirmed before March 5th 2006. 2. Purchase needs to be completed directly through Quantum Life LLC. 3. Accommodation and transport costs are the responsibility of the purchaser. 4. Only 2 dates are offered for the Vedic Vibrational Bio-resonance course as part of the promotion. 5. Promotion can not be exchanged for cash.